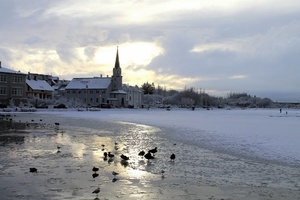 Most Christmas programs in Iceland are based in Reykjavík and include superior class hotels and gourmet restaurants. As an out-of-the-box alternative GJ-Travel offers a casual Christmas adventure where you stay in simple hotels and cottages in Reykjavík and South Iceland. All rooms with private shower/wc. We spend two nights in Hella, a small village in South Iceland where you will be able to discover and experience how Icelandic countryside people celebrate Christmas. We promise that even in a casual program the meals and drinks will be delicious. 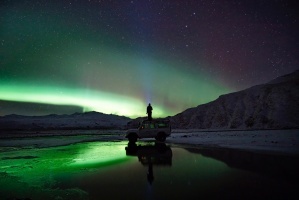 Oops, did we mention the Northern Lights? Árhús cottages in Hella are located in a large and dark garden where it is very easy to see the Northern Lights, also called Aurora Borealis, if the weather conditions are suitable. Our expert tour guide provides you also with a fact talk about the Northern Lights and gives you some tips on how to take photos of this natural phenomenon. On the 26th of December, the program includes fine dining at a panoramic restaurant at the Pearl in Reykjavík. We look forward to celebrating with you Christmas 2019 in the Icelandic countryside. 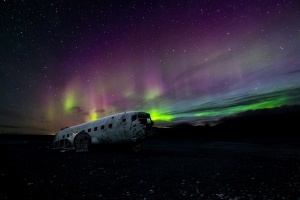 Transfer to Hotel Cabin in Reykjavík where you spend one night. 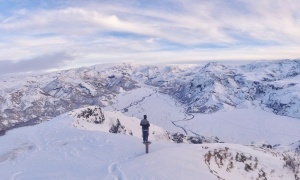 We provide you with ideas how to explore Iceland's capital on your own. At 09:00 meet your tour guide who shows the group highlights of Iceland's exciting capital. Then we head out to the Reykjanes peninsula with its hot springs, mountains, bird cliffs, lighthouses and fishing villages. At the end of the day, we get to soak off our travels in the warm blue waters of the famous Blue Lagoon. We stay for two nights in simple cottages in South Iceland. In the evening you have a presentation about the Northern Lights. If the night is clear, step out in the garden and check if the Northern Lights are visible. Also, known as the Aurora Borealis, these spectacular skylight shows can frequently be seen in Iceland from September through April on clear and crisp nights. White and green are usually the dominant colors of northern lights, but sometimes there are considerable color variations. They are ephemeral, however, so sightings are not guaranteed. The grounds of Árhús Cabins in Hella are very large and dark that offers you an excellent location for Northern Lights search if the weather conditions are right. It requires patience, warm clothing and the excitement of "maybe there are Northern Lights". After breakfast, we head along the South coast and get out near the active volcano that is beneath the Eyjafjallajökull glacier. We stop at the high but narrow Seljalandsfoss waterfall, which plunges over the mountain. There's a trail that goes behind the falling water and offers impressive views if you are prepared to get wet! Further east we visit one of Iceland's finest folk museums. This museum contains an outstanding collection of farm and domestic artifacts typical of Iceland's past, as well as turf-built houses. Nearby is Skógafoss waterfall which is 62 meters high and one of the most impressive waterfalls in the country. We continue to the seaside and stroll on the black lava beach to see the amazing bird cliffs at Reynisfjara near Vík. In the evening we celebrate Christmas the Icelandic way. Before dinner, we join a guided bus tour to visit the Christmas lights in the villages of Hvolsvöllur and Hella. The traditional Christmas lights had their origins in the Middle Ages when people needed to keep the lights in their abodes during the Winter Solstice. In Iceland, the tradition finds it roots in the Pagan Old Norse beliefs when people would keep the fire alive inside the central pit of the Viking longhouses in order to keep the darkness of the Winter Solstice outside. On the menu: First dish surf & turf: king shrimp and scallops with a carpaccio of beetroot and oranges. Second dish: traditional Icelandic meat soup with home baked bread, Lima beans and sour cream. Main dishes: slow-cooked duck breast with sweet mash potatoes and blueberry sauce. Dessert: apple cake with crushed pistachios and whipped cream. If any special diet is requested please let us know in advance and reconfirm it with your tour guide on the first day of tour. Today we travel the Golden Circle route. You see steam from the Geysir geothermal fields as you arrive. There are a variety of hot springs and bubbling pools. The original geyser is now dormant but has been replaced by Strokkur "the Churn" which erupts at 5-10 minute intervals. 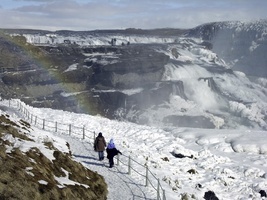 You continue to Gullfoss "the golden falls", a double waterfall that tumbles 34 meters into the Hvítá river, and attracts tourists and travelers in summer and winter. We travel inland to Thingvellir National Park, a UNESCO World Heritage Site before returning to Reykjavík for one night. Overnight at Hotel Cabin.The program includes a culinary treat at a panoramic restaurant located at the Pearl in Reykjavík. The menu is : Traditional Icelandic fried bread and whipped butter ‘ pumpernickel ; Cured and smoked salmon, cured goose breast & accompaniments ; Glazed leg of lamb, creamy wild mushrooms & carrots & Columbia crème brûlée, dark chocolate, pistachios & bilberries. Individual transfer to Keflavík Airport. 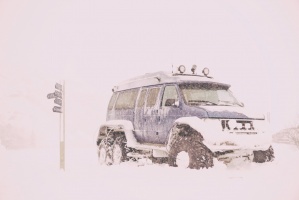 Itineraries may be subject to change at short notice during severe weather conditions and certain outdoor activities/day trips may be canceled during the winter season in Iceland. 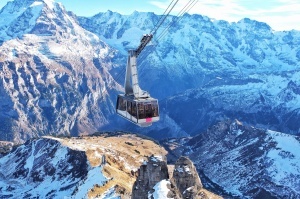 In these rare cases, where situations of force majeure apply, excursions/activities cannot be refunded but the local guides will try their best to find reasonable alternatives where and whenever possible.